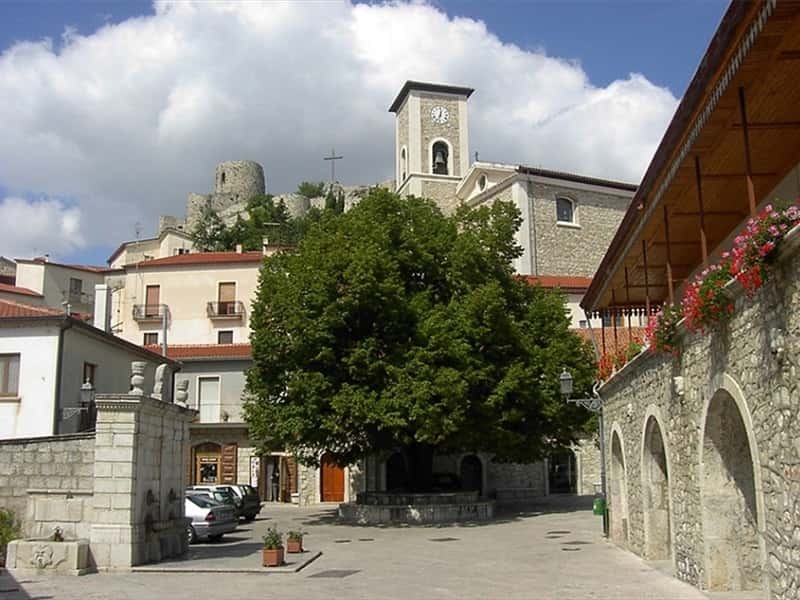 Rocca San Felice is a charming village in the province of Avellino, located about 700m a.s.l. in a wide and green hollow of the Ansanto Valley, at the foot of a fortress. The historical center preserved its own medieval aspect over the centuries, with narrow and winding streets overlooked by small stone houses climbing along the ridge of the hill, on the top of which the fortress is situated. In 848, after many years of struggling, the Principality of Benevento was divided into two parts: Benevento and Salerno. 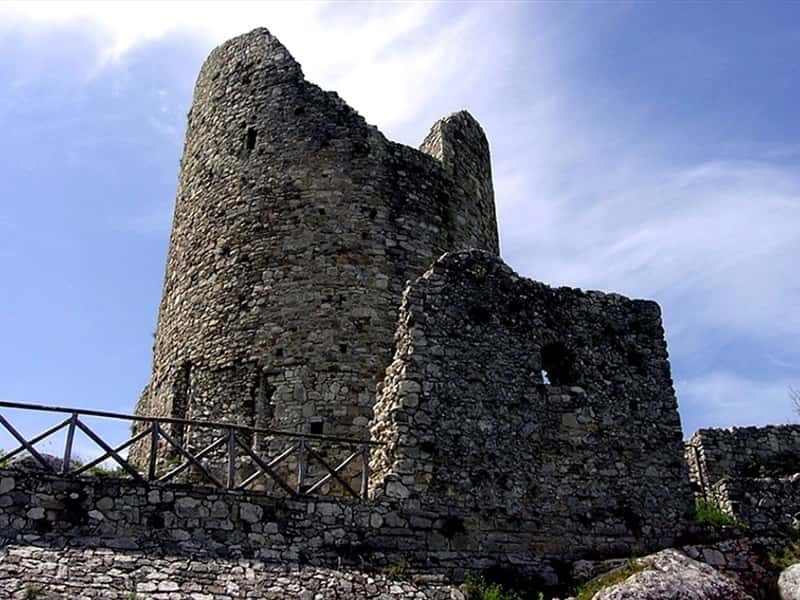 In order to defense the borders, the Prince of Salerno built the fortresses of Monticchio dei Lombardi e Guardia dei Lombardi, while the Prince of Benevento built the fortresses of Sant'Angelo a Pesco e Rocca San Felice. The farmers of the surrounding areas moved themselves around the stronghold, building there their houses and creating the first nucleus of Rocca San Felice. During the XVI century the fortress was abandoned and the inhabitants moved themselves further downstream, giving life to the so called "borgo", the oldest part of the historical center. - the Medieval castle, including the Donjon (the first cylindrical tower initially used for military purposes and, subsequently, as feudal lord residence), the walls, stables, houses of soldiers and courtiers, well, gardens and workshops. - the square with the old linen tree planted during the Neapolitan revolution as symbol of freedom. on the left side there is the Monumental Fountain, dating from 1749, with its beautiful Classic lines, while on the right side you can admire the arches of the loggia of the Palazzo Antonellis-Villani. - the Sanctuary of Santa Felicita, built soon after the advent of Christianity and the gradual abandonment of the worship of the goddess Mephitis. Over the centuries, the small church dedicated to Santa Felicita underwent several renovations, the last of which after the earthquake of 1980. - the Mefite, a small lake of boiling water, due to the pressure of gas coming from the bowels of the earth. the air is fetid and stifling and, for this reason, the ancients built there a worship dedicated to the goddess Mephitis, venerated by Italic people and, later, Virgil indicated this lake as one of the gates to the underworld. This town web page has been visited 13,472 times.